The New York International Auto Show is currently underway at the Javits Center in midtown Manhattan. Yesterday, the Jeep brand expanded its Grand Cherokee lineup with the introduction of two variants: the 2017 Trailhawk and the 2017 Summit. If the seventh circle of hell had trails, the all-new Jeep Trailcat Concept was built to conquer them. Seen above, this prototype was launched in an event ahead of this year's Moab Easter Jeep Safari. What sets this model apart--aside from its mean looks and high riding stature--is the presence of FCA's snarly 6.2-liter Supercharged HEMI V8. 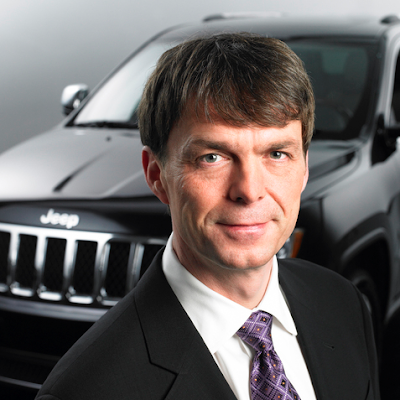 This month, the Detroit Free Press named the Head of Jeep Brand – FCA Global, Mike Manley, and the Jeep brand team the winner of its “Automotive Difference Maker” award. “In 2015, FCA sold more than 1.2 million Jeep SUVs worldwide, marking the fourth consecutive year that the brand sold the most vehicles in its history and its sixth consecutive year of sales increases,” wrote the Detroit Free Press. Fiat Chrysler Automobiles has teamed up with Warner Bros. Pictures in a new advertising campaign. The two brands rolled out their partnership on the Web and TV with an ad spot that features Ben Affleck--depicted as Bruce Wayne--coming to the rescue in his special edition Jeep Renegade. Fortunately, you don't have to wait until the workday is over to watch it on TV. 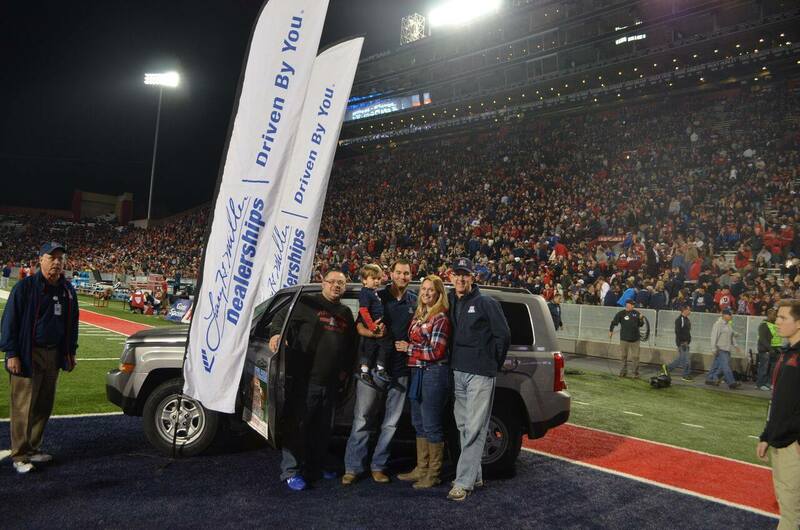 We have it right here on our blog for your viewing pleasure. When it comes to advanced technology and capabilities, no luxury car offers a competitive experience like the 2016 Chrysler 300. This is one full-size sedan that's ready to meet your needs -- not only in terms of performance, but also when it comes to available technology features. We are all familiar with the iconic Jeep name, from the Wrangler, Cherokee, Patriot and the newest addition of the Renegade. 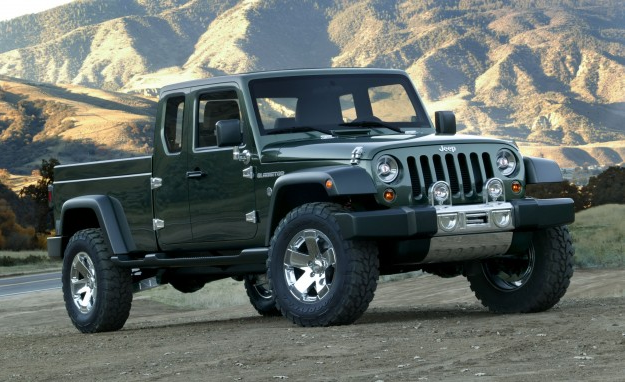 Coming in 2017 Jeep has announced at the Detroit Auto Show the production of a take on a classic that will take the auto industry by storm. Shopping on a budget in 2016! It’s 2016 and is the best time ever to get you into a new ride. But just because you may be on a limited budget doesn’t mean you can’t get into something that is affordable and certainly new to you! 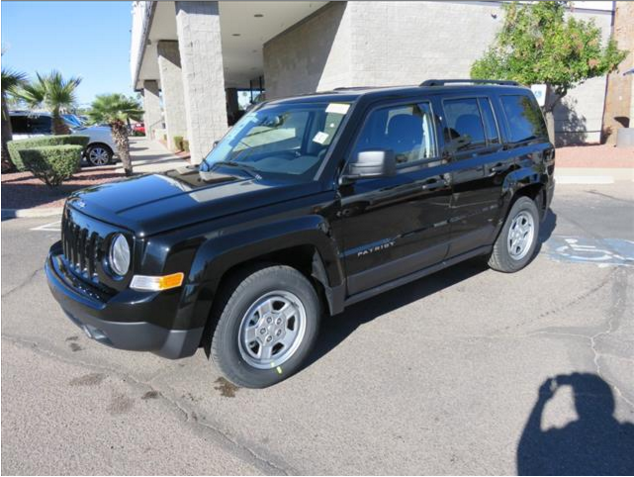 Here at Larry H. Miller Chrysler Jeep Tucson, we offer plenty of price options regardless of what your budget may be. The style of the new Chrysler model lineup cannot be denied. With excellent fuel economy, adaptive cruise control, park assist, backup camera, eight-way power driver seat with four-way power lumbar support, and heated seats, you can also see how these models are worth the small price you'd pay for them. While they seem demure, you would be surprised to know that you can enjoy 295 horsepower in select models. While there is no doubt that Hollywood has been shamelessly remaking movies that don't need to be remade, the latest in this trend is the forthcoming remake of Point Break which focuses on a group of career criminals and adrenaline-junkies, as well as the FBI agent tasked with bringing them down. The film should prove to be a fun time when it hits theaters, though the Jeep brand is already having a good time with it, using the opportunity to cross promote with the Jeep Renegade.